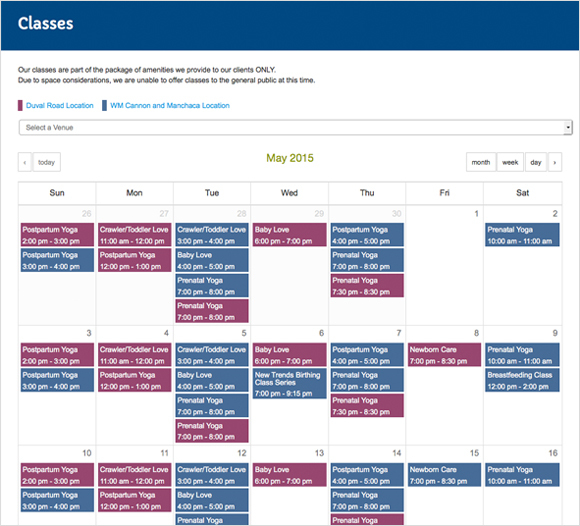 Austin Area Birthing Center is the #1 birthing center in Austin, Texas. 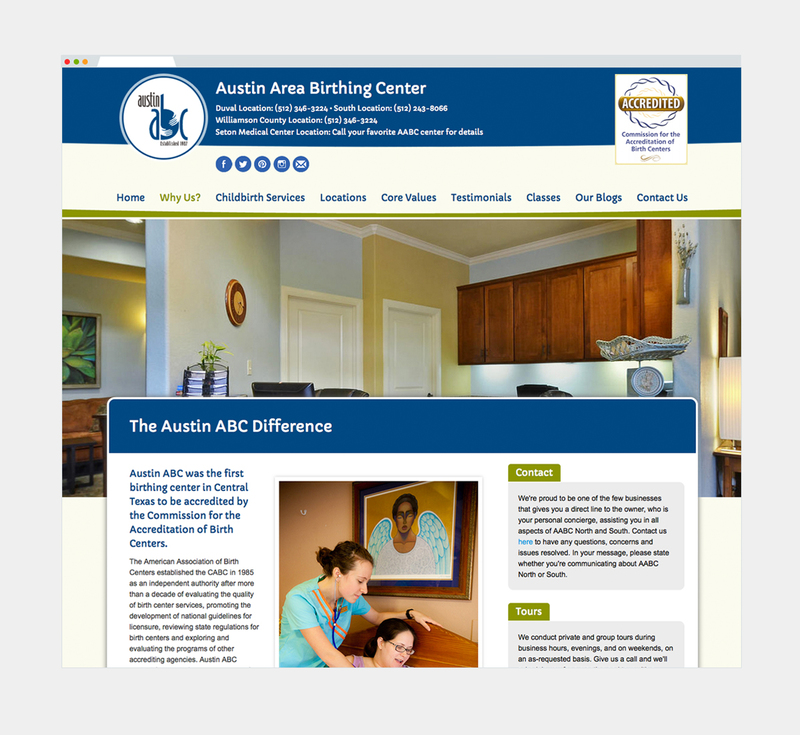 Through experienced midwives, assistants and staff, Austin Area Birthing Center has built a reputation for itself as a safe and caring environment for delivery. 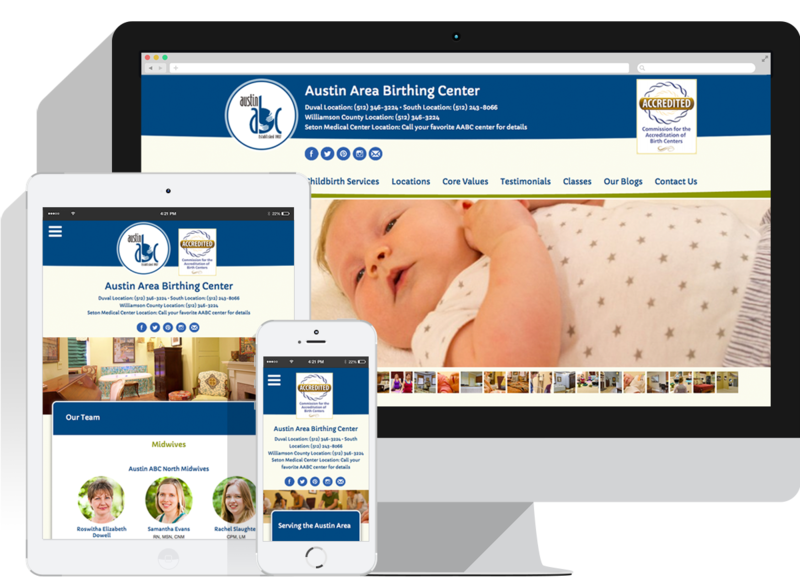 We designed and developed a website to convey the caring nature of this business environment while informing the user of the birthing process.